I created this on a behringer TC64 on Launchpad compatibility mode, so hopefully it works with that as well. I only set it up for Deck C.
Designed to control volume, filter and fx send of stem deck A and B with the CMD LC-1 controller. It also has reset functions for volume, filter and FX send, as well as muting functions. The reset buttons for the volume are blinking on stems which do not play full volume, giving you additional control. The package includes a free STEMS track! 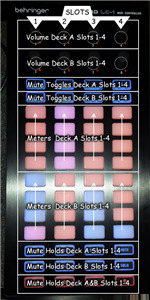 This mapping is solely to control the volume of the individual stems of Deck A and B simultaneously. Featuring LED feedback for encoders and mute functions, as well as meters for all stems of both decks. 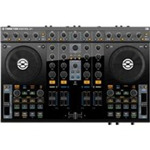 Use this mapping to extend an existing Traktor setup with the LC1 in order to be able to mix stems. 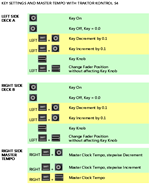 This file contains very simple mapping to control the volume of the individual stems playing on the decks A and B using eight virtual sliders on the touch interface of the Kaoss Pad 3. That's it. - No other knobs, faders or buttons are assigned. After a lot of research on the web I didn't find what I wanted, so I decided to create this mapping! 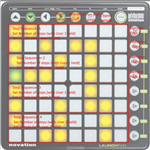 MIDI Notes produced by Reloop Mixage IE. Mk1 and Mk2 Maschine and Mikro! Hi my name is Max. 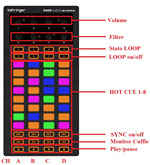 i have created a mapping which allows you to use your DDj-SB as a 4 deck controller. Everything works on all 4 decks. 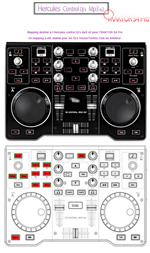 You can also switch between the decks independently on both sides. 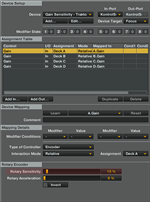 DJUANP Map V3: Totally refined for MK4, Browser, Preview, Gain, Filter, KeyTune, Loops, FX, Bend.. This mapping is an important evolution of my last one, features lots of Traktor functions in such a tiny device. Features advanced Gain, Key Adjust, proper FX support, Filter, Loop, fine Bends adjust for mixing in no-SYNC mode, complete File Manager and full Preview management. Works with Mk1 and Mk2! Ean's prepping mapping does not work for the new S4 MK2, so I duplicated it. Most of it works, however, there is a bug. PLEASE HELP! 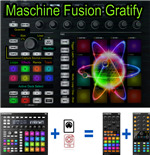 Works with Mk1 and Mk2 maschine! Set up your music quickly! Vier Decks, zwei FX Units, Tree und List suche, Aufnahme und eine Menge Spaß! 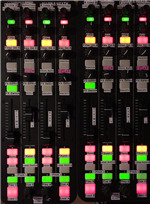 Four decks, two FX units, Tree and List search, recording, broadcasting and a lot of fun! full control(except FX) of traktor with APC40. 4channels with EQ(low,mid and high), loops, hotcues, CUE, CUP, pitchfaders. No FX yet. The Ultimate APC 40 Mixer - cues - EQ - loops and more! Separate Hi, Mid and Bass controls. Working Sratch (shift) button that lights up as expected. 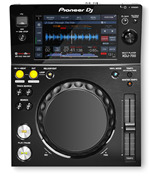 Akai LPD8 mapping for Traktor Pro 2.6. - FX1 on/off for decks A&B. 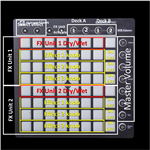 - 8 effects (group ans single ones) on FX unit 1. - Instant flux mode loops for decks A&B. BY DJ A.S.H.! ENJOY YOUR MUSIC. LPD-8 Mapping by LittleFranky Updatet Version 1.4! 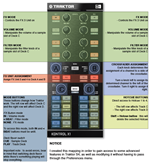 This mapping allows for control of sample decks C & D using a Korg nanoKONTROL2. 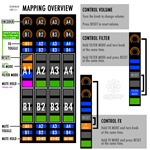 This is especially helpful when using the sample deck buttons on an NI S4 as Hotcue buttons 5-8. Catch the nanoPAD2 mappings inspired from Ean Golden's 'We will rock You' beat juggle on the orignal nanoPAD. We took it further on nanoPAD 2. Ce Mapping est destiné aux DJ's House/Techno. Les fonctions Inutiles ont étaient remplacées pour une meilleur utilisation des Loop, HotCues, FX. Numark Mixtrack/Mixtrack Pro LED Map with red LED autoloop button. Mixtrack/Mixtracxk Pro Default 2 deck map, LED Tweaked. This is the best LED map for mixtrack pro with almost all buttons lit up some flashing/blinking autoloop button LED is RED Instead of the default yellow. 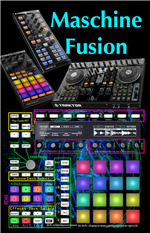 You have now the possibility to quickly control (all) the function of traktor with this mapping. Are you tired to pass through the Preferences to switch the deck flavour ? Or do you want to use the four FX unit ? Or even play with the filter of one specific sample ? Well with THIS mapping, you can, and even more ! Check it out !